Dine in style with this lovely outdoor bistro patio set! 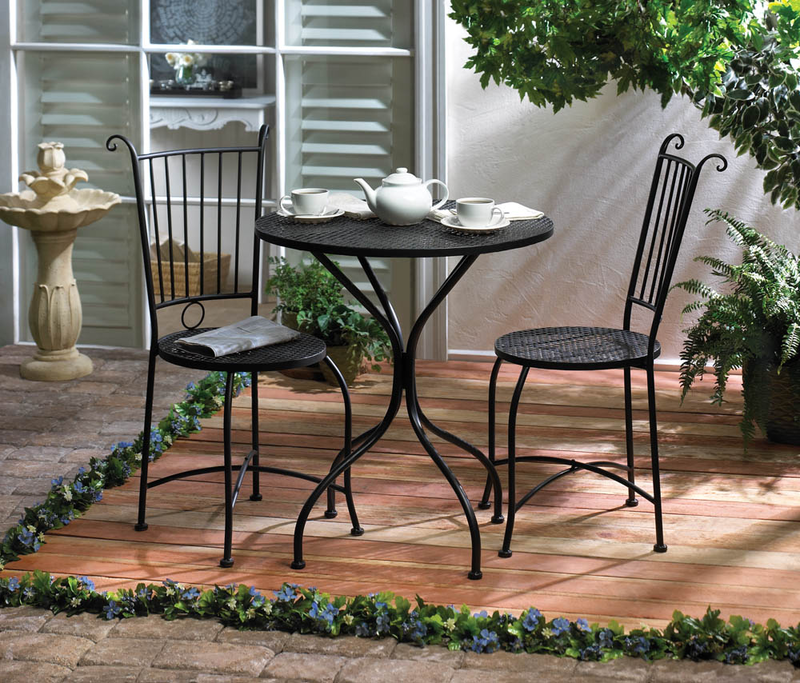 Enjoy comfortable breakfast lounging in the morning sun or afternoon tea in the garden with this attractive black metal outdoor bistro trio. 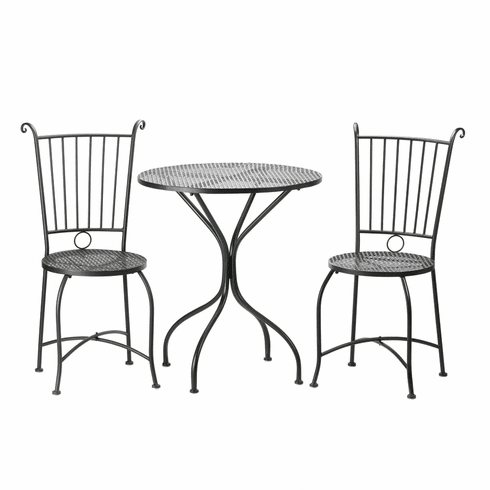 The set includes a round lattice-top table and two matching chairs. Item weight: 27.2 lbs. 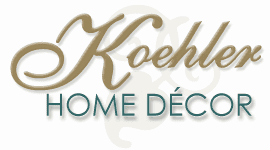 Table: 27½" x 27½" x 30" high; each chair: 19" x 19" x 37" high. Metal. Some Assembly Required. UPC: 849179015299.